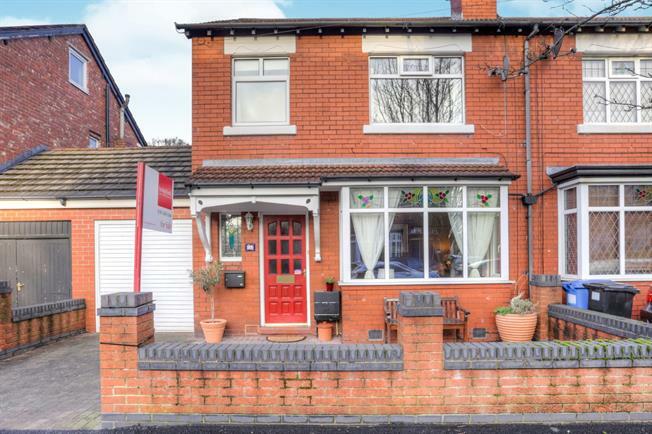 2 Bedroom Semi Detached House For Sale in Stockport for Offers Over £290,000. This is not your average two bedroom semi detached home. This home has been extended to the rear and has undergone extensive work in converting the loft which is currently being used as a third double bedroom. The home offers off road parking and benefits from having both a detached and attached garage. The attached garage has huge potential to be converted into a downstairs bedroom, children's play room or for someone wanting to work from home. There are excellent schools close by all within walking distance and Woodsmoor train station is just a short walk away with direct links to Manchester city centre. A superb ready to move into home with off road parking located in a highly sought after area with outstanding schools within walking distance.